If you do not wish to have a criminal jury trial, then you are allowed to file a waiver. It is highly recommended that you consult with your lawyer before you do so. Attorney Adam Burke is an experienced Columbus criminal jury trial lawyer. You may discuss your case and your trial options at with Attorney Adam Burke during your free consultation at (614) 280-9122. If you are facing criminal charges in Ohio, you will be given the option of asking for criminal jury trial. A criminal jury trial will not, however, be present in minor misdemeanor cases. These minor cases include negligent misdemeanors or crimes that carry fines of less than $150, and no jail terms. In serious criminal cases involving a felony (cases which carry a prison term of 6 months or more, for example), a 12 person group of jurors will be tasked to decide your case. These jurors are selected at random from the local county voter registration list to prevent bias of any kind. In Ohio, a new list of people eligible to be jurors is compiled each year by the administration. The main role of the jury in criminal trials is to pronounce the defendant guilty or not guilty. The jury is influenced on the basis of evidence presented in court by the defense and the prosecution. To pronounce a person guilty of a crime, the jury must be satisfied that the person is guilty beyond reasonable doubt. Jurors may ask for a law to be explained when they are deciding the verdict. They are also allowed to request another look at the evidence at this stage of the trial. The jury cannot influence the sentencing in any way. That task is the sole responsibility of the judge, who closely follows the letter of the law while doing so. It is important to hire an experienced and qualified attorney who can help you come up with the best possible strategy for trial. 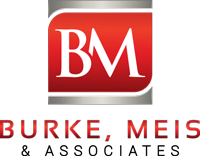 Contact Attorney Adam Burke of Burke, Meis & Associates now at (614) 280-9122 for your free consultation and to discuss your trial options.